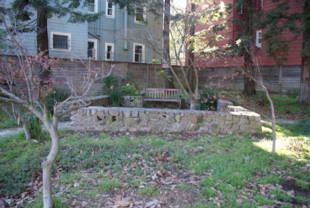 This is a small corner park in the Western Addition that provides plenty of trees for shade, plus plenty of places to sit in the form of a bench and low rock walls. 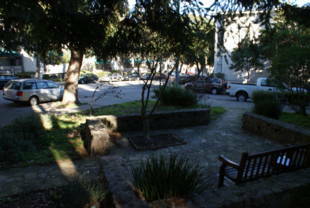 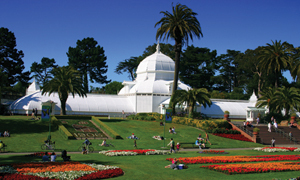 Beideman/O'Farrell Mini Park is owned by the San Francisco Recreation and Park Department. 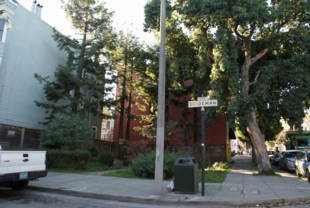 24-Divisidero and 38-Geary: Divisdero and Geary stop; walk one block south to O'Farrell, then one-half block east to Beideman. 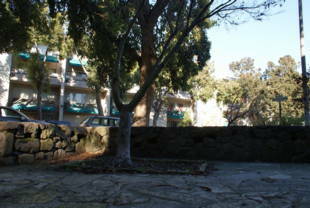 You can also off-board the 38 at Geary and Scott, walk one block south to O'Farrell and a half-block west to Beideman.